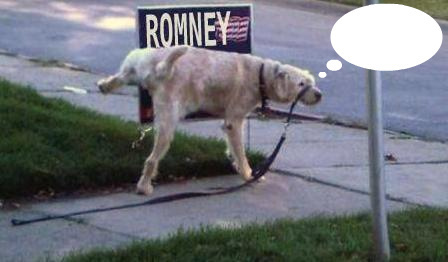 Mitt is Mean Caption Contest! We’re having a caption contest! Please keep it clean – remember this is a family show! There is no spin about it, no “tax rates” or “revenue estimates” or “policy differences.” This is a gut check issue, something everyday people know is just wrong. Help us get the message out. Remember Seamus. Were having a caption contest!